Projectmates is proud to announce the latest version release, V18.0. With new enhancements and improvements incorporated into nearly every module, the new version opens more venues for project team collaboration and communication while building on the successful formula of creating software for the project owner. 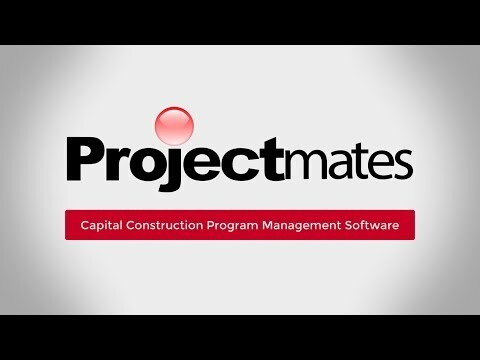 Projectmates software continues to catapult team efficiency forward for capital construction management. Adding to the already impressive arsenal of tools, Projectmates will support a comprehensive integration with DocuSign e-signature technology. Users will be able to customize, distribute, and track e-signature requests to both users and non-users on a simple, easy-to-use interface. Project owners will also experience even more insight into construction project schedules with upgraded cost tracking tools that offer users more flexibility and intuitive workflows. Furthermore, there are enhancements to the native BIM Viewer (such as 3D model and attached 2D sheets), improved file attachment capabilities, and substantial changes to keyword and label management for documents. Previous version upgrades have featured improvements for reporting and dashboards as well as advancements to the native mobile app (available for both iPhone and Android devices). Projectmates native mobile app offers push notifications and a mobile-friendly interface to make managing projects on the go easier. Projectmates continues to build its technology and designing each module for the project owner to meet specific goals in managing and collaborating on projects. The objective has always been for Projectmates software to improve project execution and reduce risks for large construction projects. Projectmates industry-leading capital construction program and project management software makes your job easier by improving communication, enhancing project efficiencies, and increasing accountability while saving both time and money. Since 2000, Systemates, Inc. has grown the Projectmates software into the industry-leading software choice for construction professionals and project owners. For over two decades, we have had the same leadership, never bought or sold, and work hand-in-hand offering best practices and software innovation to industry leaders. Today, Systemates has an expansive client base — from Real Estate Trusts and Healthcare facilities to modern Educational Institutes and from Public Sector groups to leading Retail businesses. Projectmates' collaborative platform dramatically improves project execution, cuts costs and delays, increases accountability and reduces risks. With its cutting-edge technology, Projectmates creates one seamless platform for managing the complete lifecycle of construction from planning, bidding, and building to maintaining facilities. Over 300,000 projects rely on Projectmates to manage billions of dollars in capital construction programs. Projectmates has been trusted by construction owners for over 20 years and is SOC 2 TYPE II certified.